Travel PR News | Embraer Executive Jets delivers the first Phenom 300 to Luxaviation S.A.
Embraer Executive Jets delivers the first Phenom 300 to Luxaviation S.A.
São José dos Campos, Brazil, 2015-7-7 — /Travel PR News/ — Embraer Executive Jets delivered the first Phenom 300 to Luxaviation S.A. which is part of Luxaviation Group, the second largest business aviation group in the world based in Luxembourg. Luxaviation Group has been rapidly expanding its business worldwide through acquisitions bringing valuable benefits to customers. With a broader range of aircraft types, the collaboration between the Group’s companies enhances best practices in all operational areas. 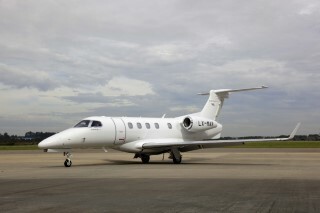 Luxaviation Group today operates a combined fleet of more than 250 business aircraft, including 18 Embraer business jets. “I’m glad to welcome Luxaviation S.A to the Phenom 300’s family,” said Marco Túlio Pellegrini, President & CEO Embraer Executive Jets. “As an Embraer executive jets fleet operator, Luxaviation Group recognizes our expertise in design-differentiated products as well as our excellence in customer services. I’m very confident with this long-term partnership, which will allow us to support Luxaviation Group’s operations and increasing presence in some of the world’s fastest growing business aviation markets”. Patrick Hansen, CEO of Luxaviation Group says: “The integration of the Embraer Phenom 300 type aircraft into our 250 jet fleet allows us to diversify and develop our offer mainly for growing markets and specifically for the fast-growing Asian business jet market. It responds to clients’ needs for a diversified fleet providing high flexibility. The Phenom 300 is the most delivered business jet for the second year in a row. The aircraft is in operation in more than 20 countries and has accumulated over 200,000 flight hours. In five years of operation, the Phenom 300 fleet has surpassed the 250 aircraft mark, having reached a 57% market share in the light jet category. This entry was posted in Airlines, Business, Transportation, Travel, Travel Management, Travel Services and tagged Embraer Executive Jets, Luxaviation S.A., Marco Túlio Pellegrini, Patrick Hansen, Phenom 300. Bookmark the permalink.